ABS Plastic & Silicone / 3″L 2.5″H 3″W. Lot of Boom in a Little Box. Bluetooth speakers are likely the most appreciated promotional item that my company has even done for a self-promotion event. Why? Because everyone loves these things. Pairing a Bluetooth speaker to a mobile device is the quickest way to share music with your friends, and in general the best way to listen to all that music you have tucked away in your phone. The Odyssey Bluetooth & NFC Speaker shown here is a newer, more compact design. The imprint area is on the base, and actually a little small at 1W .75H. But the compact design makes the Odyssey Bluetooth & NFC Speaker very portable and good for travel, and that is what drew me to it. Also if you are marketing to a college audience, these things are great for dorm rooms. Being in the industry means I am a bit spoiled when it comes to these devises, as I have samples tucked all over the house; in the garage, in the kitchen, in the gym. And that is the secret sauce to these items as promotions for your business. People use them, and they often use them around other people, and that means your brand is going to be seen by a lot of people. We have gone to meetings with a number of clients that have our self promo speaker sitting on their desk (it doubles as a conference phone), but honestly, most of these things make it into people’s homes. It is a great little billboard for our company – our your’s – wherever it is being used. 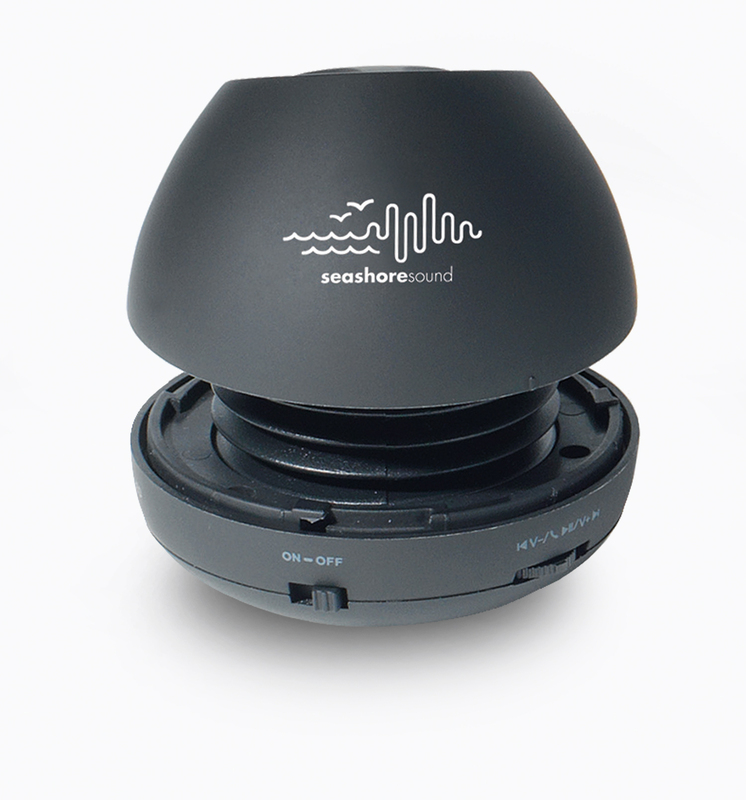 Please contact us at info@proformagreen.com if you would like more information on the Odyssey Bluetooth & NFC Speaker. This entry was posted in bluetooth, speaker. Bookmark the permalink.